On behalf of the President & Commander in Chief of the Armed Forces of the Federal Republic of Nigeria, Muhammadu Buhari, I Engr. Mustapha Maihaja, Director-General of National emergency Management Agency (NEMA) Nigeria, hereby declare National Disaster in the following States: Kogi, Niger, Anambra, Delta. 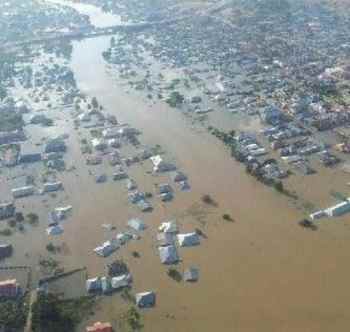 The Federal Government is closely monitoring the situation along the banks of the Rivers Benue and Niger. I have authorized NEMA to declare a “national disaster" if necessary. The military Disaster Response Units will be activated, for search and rescue missions. President Buhari said he has approved 3 billion Naira for the procurement of medical and relief materials to meet the needs of victims of the flooding. NEMA is also providing me with regular updates on the situation.